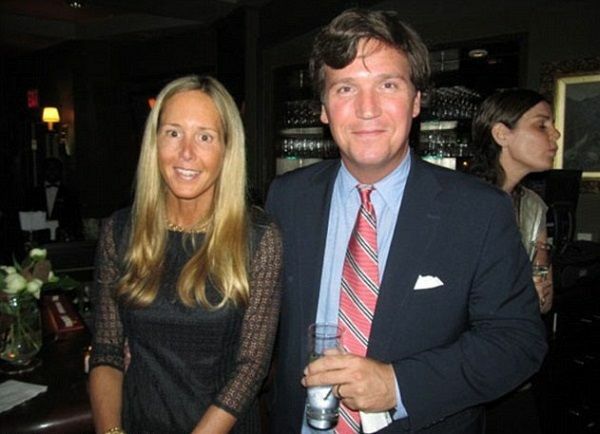 The then high school sweethearts, Susan Andrews and her husband, Tucker Carlson! Details about the celebrity’s family and relationship! Married Biography / Entertainment / The then high school sweethearts, Susan Andrews and her husband, Tucker Carlson! Details about the celebrity's family and relationship! Susan Andrews name list lies in those list of celebrities, who have been able to achieve popularity because of their relationship. She is the wife of the very famous Fox News host, Tucker Carlson. 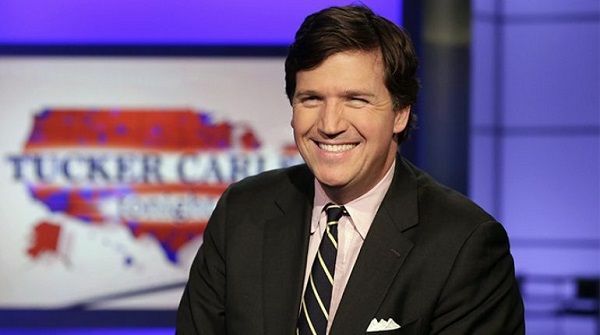 Tucker Carlson has gained fame for over 25 years. The couple is famously known as the lovers since their teenage time. Their love story seems to be interesting for most of the people. Let us have look on it. Also read: Larsa Younan files for divorce from husband NBA star Scottie Pippen! Is their relationship over? The sweet long lasting love story of the couple, Susan Andrews and Tucker Carlson has been able to be one of the most interesting and trending gossips lately. In most of the interviews, Carlson has never hesitated much to share their love story in public. 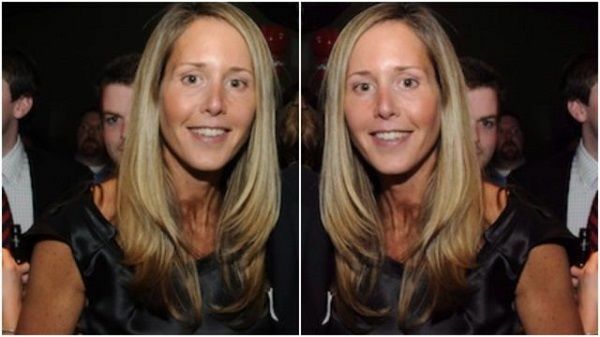 Both, Susan Andrews and Tucker Carlson had studied in the same school, St.George’s School in Middletown, Rhode Island. They both met each other at high school. They were 15-years-old at that time. They were the sweethearts in high school. In boarding school, they met each other. Being in a relationship with each other since their teenage duration, the couple tied the knot in the year 1991. They decided to marry after Carlson asked for her father’s permission to marry her 6 months before he graduated from Trinity College. The married life of Susan Andrews and Tucker Carlson was always a successful result without any problem and controversies of their extra-marital affair or divorce. After their enjoyable wedding in 1991, the couple decided to initiate their family. Being ready with responsibility with the motherly duties, Susan Andrews was followed by the successful pregnancies. 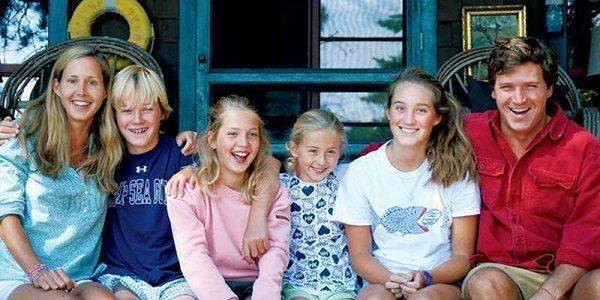 The couple has three daughters and a son as well, namely Dorothy, Lillie and Buckley Carlson respectively. According to some sources of information, the husband and wife raise their happy family during their shift in the year 2017. Currently, they live in District Kent neighborhood which is located in Washington D.C.
Also read: A YouTube vlogger and the Instagram star, Sydney Carlson’s beautiful relationship with an American singer, songwriter Blackbear! The wife of Tucker Andrews, Susan Andrews is also a board member of the school. It is the same school where her dad got accused of not reporting a sexual harassment scandal. Because of this issue, her father was fired for the incident but the main reason for angering them the most was that the fact that his letter of recommendation was positive while it should have gotten tarnished. After the deep investigation, the source indicated that more than a decade later Rev. Andrews had left St. Georges. It seemed as if his lawyer was quick to state that he hadn’t broken any laws. Therefore, there were no charges brought forth. On the other hand, he regrets that he could have done more to appease the affiliated victims but sadly did not. However, Susan Andrews still maintains a position as one of the school’s board members. Susan Andrews was born in the year 1969 in America. Her exact birth date is unknown. Her nationality is American and is caucasian by ethnicity. It looks like she is very private and maintains a low profile about herself in public. She is most famously known because of her married relationship with her husband. Her husband is a presenter and appears on many media. Previously she had worked at St. Patrick, Fcps, At Your Sevice Hospitality Management LLC.